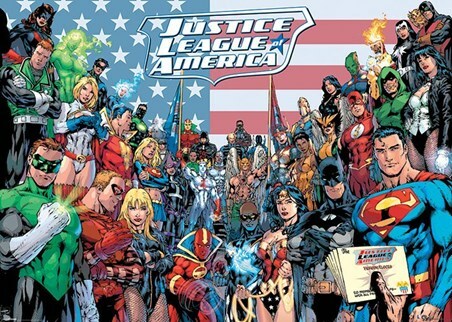 Children's Giant Poster: If you have ever dreamed of becoming part of the Justice League of America then this awesome giant poster is a must have for your bedroom wall. 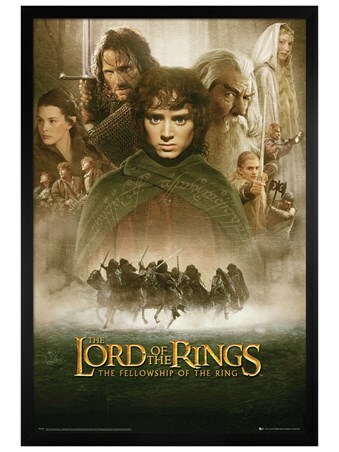 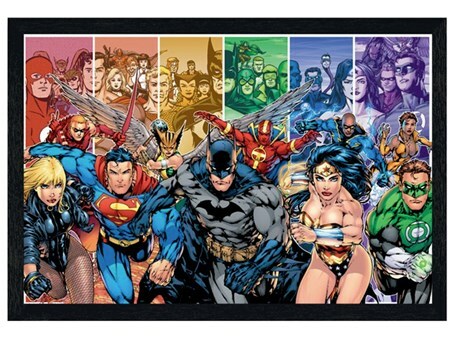 Featuring all your favourite characters from the iconic DC comic book universe, this poster includes Superman, Batman, Wonder Woman, Green Lantern, Super Girl, Flash and Hawkman as well as many more crime fighting heroes. 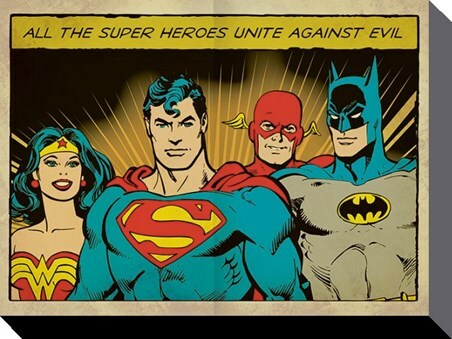 Standing in front of the American flag with the JLA logo across the top, these DC stars are guaranteed to liven up your wall. 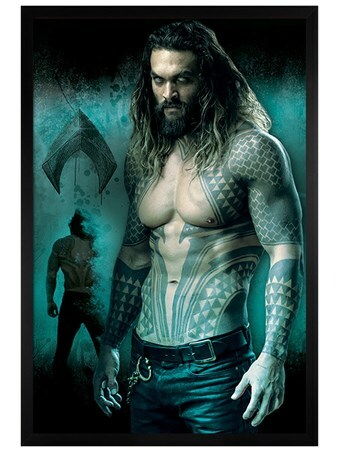 High quality, framed The Justice League Of America, DC Comics giant poster with a bespoke frame by our custom framing service.